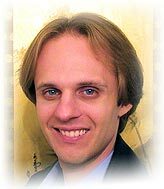 And posts exciting new blog article entitled, "The Great Awakening: 2012, Ascension and NWO Defeat"
David Wilcock, is recognized as a renown author, speaker and mystic. Well now you can officially add lead singer, and maybe even pop star, to his resume! He has just released his first ever vocal album, entitled, "Wanderer Awakening," on April 15th, in which he performs as lead vocalist, drummer and songwriter. Collaborating once again with nine-time Grammy Award winner Larry Seyer, the duo has produced a sprawling 50-track, four CD/LP-sized work, half of which features a wide range of pop, rock and adult contemporary musical styles with vocals. While on the other 25 tracks, David provides spoken word narration over extra musical accompaniment. Needless to say, this is quite an undertaking! The entire project clocks in at nearly two and half hours of content. This is the second musical project that David Wilcock and Larry Seyer have combined their talents on, their first was entitled, "The Science of Peace," which also featured spoken words over instrumental music. This time around, David handles all of the lead vocals on original compositions that he and Mr. Seyer have written together. The album follows a central theme of the "wanderers," which is a term used to describe the large variety of people or souls, who have come at this auspicious time to Earth to participate in its spiritual awakening or transformation that is believed will culminate sometime around the year 2012. There is estimated to be as many as 100 million, or perhaps more, such wanderers on the planet at this time. 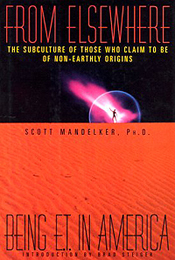 The theme of the "wanderers," originated from a book entitled, "From Elsewhere: Being ET in America," by Scott Mandelker. David Wilcock discovered this book many years ago and so strongly identified with its content that he sought out the author and eventually was hired by him as a scientific advisor. The two have even appeared on a Coast to Coast AM radio show together in 2001 and have conducted seminars and have planned for more in the near future. In fact, it was also on Coast to Coast AM, that David first previewed his music on February 6, 2009, during a show entitled, "2012 and Human Evolution." During the second hour that night, host George Noory played a very brief selection of a song entitled, "Listen to You." David's interest in music goes back to his youth where both his parents held strong ties to it, as his father was employed as a rock and jazz journalist, and his mother as a musical teacher. While David's previous musical experience was that of a jazz drummer. "Wanderer Awakening" acts as a sort of a classic musical concept album, with songs and narratives all dedicated to highlight and inspire the wanderers, featuring an eclectic, diverse mix of contemporary musical styles. It unfolds over four parts, which essentially makes up the four CD's. David describes the project in his own words as a " metaphysical music adventure." "Wanderer Awakening describes the journey of a single ‘hero’ who starts out as the Conscious Universe — the One Infinite Creator — and then downshifts into an angelic being," says David of this massive musical and spiritual endeavor. David's singing is surprisingly quite accomplished for a debut album as the music ranges from influences diverse as Josh Grobin, The Beach Boys, Bread and Phil Collins, among others. Standout tracks include "Everything Tells Me," "Two of Us," from Part One, "Do You Really, Really Love Me from Part Two, "You Are the One" from Part Three and "Listen to You" from Part Four. While "Wonderful One" (also from Part Three) has hit single written all over it! "Wanderer Awakening" almost unfolds like a rich Broadway musical starring just one voice, through just one actor. For the most part, it is intensely romantic, tender and spiritual and I believe women, especially, are going to respond to this music! Not to suggest that men won't appreciate it, as well. But these are words and music that come straight from the heart and there is no doubt that it will touch many other's hearts as well. Guaranteed. The musicianship throughout the entire set is magnificent, with Mr. Seyer playing acoustic and electric guitars, piano, synthesizers and percussion, in addition, to his duties as producer and engineer. The sheer scope and vision of this project alone is something quite extra-ordinary to consider. Four complete albums worth of material is an ambitious objective for any recording artist, but remarkably these two gentlemen manage to pull it off. Magnificently so! "Wanderer Awakening" is an absolutely outstanding debut for David Wilcock as a musician, singer and songwriter and we can expect him to be on the road to superstardom any time now. This project should elevate his career into the stratosphere! Perhaps, just where a true wanderer belongs. To read more about "Wanderer Awakening" be sure to check out our David Wilcock Audio section. More information about the "Wanderer Awakening" album can be found on David's blog in a post entitled, "The Great Awakening: 2012, Ascension and NWO Defeat." This is also a fabulous and inspiring article that accompanies the announcement of the "Wanderer Awakening" debut. Here is David's official announcement for "Wanderer Awakening." As if all of this amazing output were not enough, David plans to give a live performance of "Wanderer Awakening" at a special conference in New York City called "Convergence." It is to be held over Memorial Day weekend from May 22-24, 2009 at the Sheraton JFK Airport Hotel. More information about the Convergence conference in NYC can be found here. 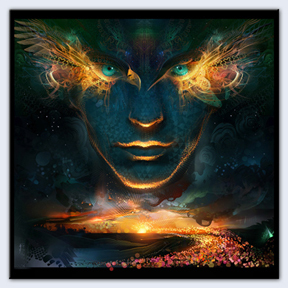 As he has often done with the majority of products found on his web site, David offers a variety of formats to purchase "Wanderer Awakening," all of which are on his online store at www.divinecosmos.com.